Sharp witted, unpretentious and fiercely passionate, Julie Feeney is a genuine artist and a hugely enjoyable performer. 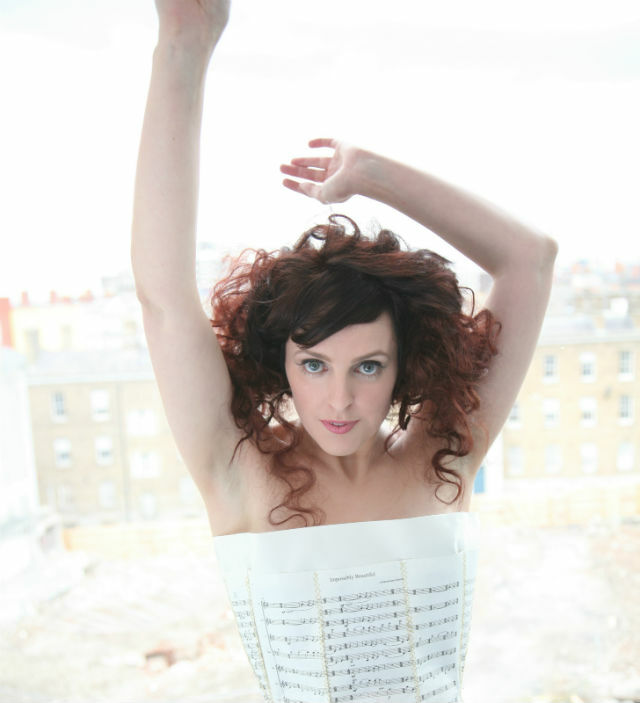 Julie Feeney's sell-out shows on both sides of the Atlantic have received rave reviews, whether solo, with ensemble, with choirs or with full orchestra, and she composes, arranges and orchestrates all of her own music. Her three albums have been critically acclaimed internationally and she has created a whole host of stunning music videos to accompany them. Her opera ‘BIRD' goes into full production in 2016. In her live shows she combines her ‘mesmerizing stage presence and eccentric pop genius' (Hot Press) with her unquestionably original sound; and her innovative, avant-garde approach, while rooted in classical music, straddles both the pop and theatrical worlds. For her recent sell-out 10 show run in New York, the New York Times said of Julie, ‘...intricate, articulate...draws on sources across centuries... Ms. Feeney's songs don't shout. They tease, ponder, reminisce, philosophize and invent parables, and she sings them in a plush, changeable mezzo-soprano that usually holds a kindly twinkle'. The New York Times concluded, ‘...a brainy adventurous songwriter lives within the flamboyant theatricality...with songs that set character studies and philosophical musings in elaborate musical confections, often with long, internally rhymed lines... Theatrical on the shell, intricate at the core'. Her third album Clocks went straight to No. 1 in the Independent Irish Album Charts on its Irish release. It was voted ‘Best Album' in The Irish Times ‘Album of the Year' as voted by The Irish Times readers and it was also shortlisted for the Choice Music Prize. Julie is winner of the Choice Music Prize for ‘Irish Album of the Year' for her self-produced debut album 13 songs on which she played most of the instruments herself. Her second album pages was shortlisted for the Irish Album of The Year prize and featured in '101 Irish Albums You Must Hear Before You Die' by Liberties Press.